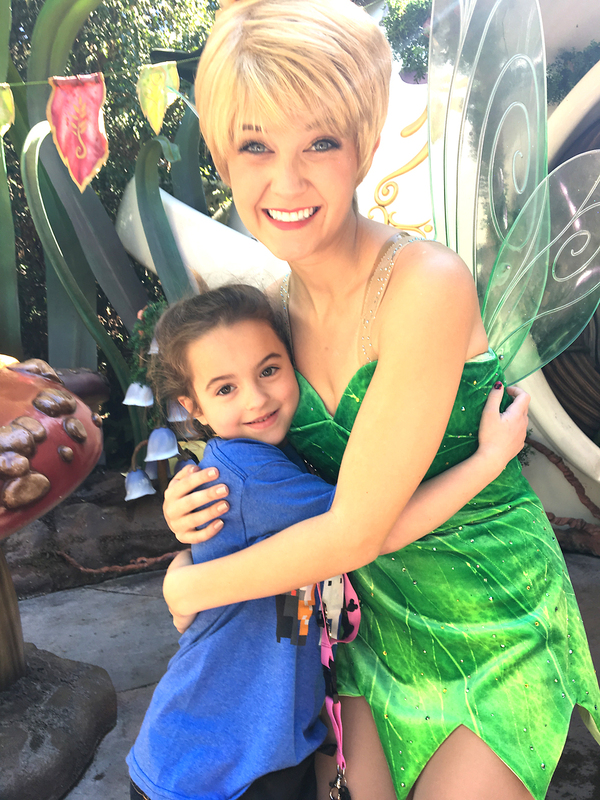 We recently returned from a week at Disneyland and we had an amazing time! Since Disneyland is like it’s own small world, it can be overwhelming for the first time traveler (or even on your second or third trip!) Knowing what to expect and how to prepare can make a huge difference in how well you trip goes. 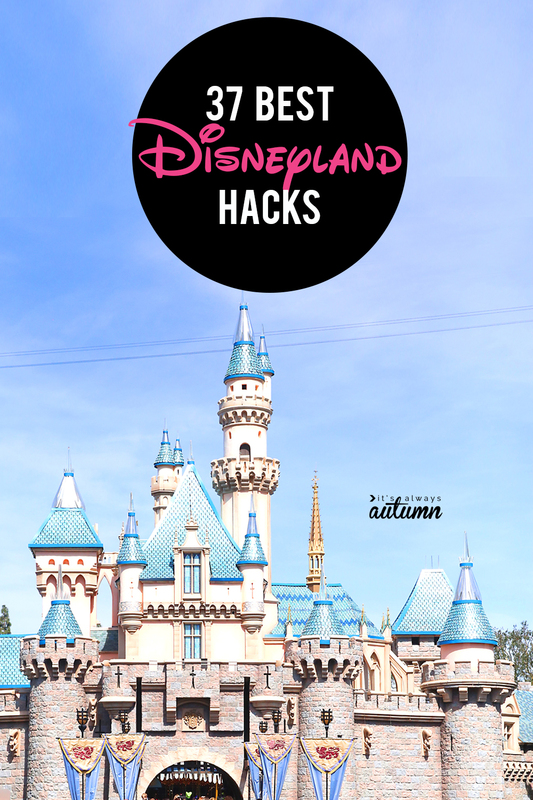 Today I’m sharing all my top Disneyland tips and hacks to help you plan your best vacation yet. 1. Use crowd calendars to plan your trip. While you can still have a good time when Disneyland is crowded, it’s so much nicer to visit during off-peak times when possible. Use crowd calendars from isitpacked.com and rmhtravel.com to find the best days to go and find out about events that might make the park more crowded than usual. 2. Avoid weekends whenever possible, especially holiday weekends, and other holidays. Think Christmas Day would be a fun time to visit the park? So does everyone else in the world. Don’t do it. 3. Go to the opposite park on Magic Morning entry days. Anyone who buys a 3-day hopper gets to enter Disneyland park 1 hour before the posted opening time on either Tuesday, Thursday, or Saturday, while those who stay at one of the Disneyland hotels get an early entry to California Adventures on either Monday, Wednesday, or Friday. This sounds great – an extra hour before the crowds hit, but unless you are going to get to the park and stand in line an hour before your early entry time, your best bet is simply to go the the other park on those mornings for fewer crowds (so head straight to Disneyland on MWF, and start at CA on TThS). 4. Stay close enough to walk to the park if possible. Parking at Disneyland seems like it will save you time and energy, but it can be a huge hassle, especially when it’s busy (plus it costs $20). We stayed at a hotel that was exactly three quarters of a mile from Disney’s front gates and it took us less than 15 minutes to walk there each morning. One day we decided to drive and waiting to park then waiting for the tram to the front gates took over an hour. There are plenty of hotels along Harbor Blvd in the same block as Disneyland which offer easy walking access (anything which says it is within half a mile of the park entry is doable for walking!). 5. If you can’t walk, look into the ART shuttle. This shuttle, provided by the city of Anaheim, picks up near most of the Disney area hotels and drops off near the entry gates. Depending on how many people are in your family, it may even be cheaper than parking and will usually be faster. Tickets are sold at most area hotels. Just remember you’ll have to fold your stroller to board it. 6. Get to the park early. You’re on vacation, so you want to sleep in. I get it. Everyone else wants to sleep in too, which means that before 10 o’clock is THE BEST time to be at the park. Try to get to the park up to an hour before it opens to be one of the first in line to enter. If you’re willing to get up early, you may be able to ride more rides in the first few hours than you can in the rest of the day combined. It feels like more fun to stay up late and be at the park in the evening, but it is absolutely worth going to bed and getting up early whenever possible. 7. Download the Disneyland app to keep track of wait times. The Disneyland app has a map that will help you get around, as well as telling you the current wait times for all the rides AND which rides have closed temporarily (on our visit, each day a couple of rides closed for an hour or two due to wet weather or other maintenance issues). This can be hugely helpful in preventing you from wasting time walking all the way across the park to a ride that is closed or has a line longer than you want to wait in. 8. Use fast passes. Fast passes are the bomb. They let you skip the lines for popular rides so you only have to wait 10-15 minutes for them instead of 2 hours. You get fast passes by going to the ride and inserting each of your party’s tickets into a fast pass machine. Your fast pass will give you a one hour return window when you can come back and skip the line (and you need to come during that hour). Some rides, like Hyper Space Mountain at Disney and Radiator Springs Racers in CA regularly have 2 hours wait times, so fast passes are definitely the way to go. 9. Look for fast passes that have return times soonest and get those first (you can check this on the Disneyland app). One thing to know about fast passes is that you can’t get a bunch all at once. Generally, once you have a fast pass you can’t get another one until the return time on your pass. So if it’s 9 am and you get a fast pass to Hyper Space Mountain which have a return time until doesn’t start until 10:30, you won’t be able to get another fast pass until 10:30. So if the fast pass return at Big Thunder Mountain Railroad is at 9:30, you should get that one first. Then at 9:30 you can ride Thunder Mountain and then get a fast past to Hyper Space Mountain (or something else). 10. Send a runner to get more fast passes as soon as you can. So if your Hyper Space Mountain pass starts at 10:30, send a runner from your party with everyone’s tickets to get your next fast passes before you actually go on Hyper Space Mountain (or if you have a runner willing to skip some rides, send him while everyone else is riding). 11. Remember that for very popular rides, fast passes will run out for the day. This can happen pretty early on when the park is very crowded. If it’s summertime and you really want to ride Radiator Springs Racers, you’d better get fast passes first thing in the morning. 12. If your fast pass return time is more than 2 hours away, you can get another fast pass in 2 hours. So if it’s 10 in the morning and your fast pass for Radiator Springs Racers says you can come back at 6:30 tonight, remember you can get another fast pass in 2 hours, at noon, and you don’t have to wait until 6:30. It’ll say so right on the fast pass. 13. Use the single rider line. If everyone in your party is over 7 and you don’t mind splitting up for some rides, you can use the single rider line and get on certain rides much faster (or if only the teenagers want to ride something like California Screamin’). Check out this post for all the details. 14. Fantasyland and Tomorrowland are the busiest areas of the park, especially first thing in the morning, so at least one day head straight to Adventureland, Frontierland and Critter Country where it is much less crowded and wait times for rides are fairly short. 15. Bring dollar store ponchos to wear on wet rides like Splash Mountain and Grizzly River Run. Depending on where you sit on these rides, you can get quite wet, which means they will both have short lines early in the morning or anytime it’s not sunny and hot. Grab cheap ponchos from the dollar store to wear so you can stay dry and ride these rides when no one else wants to. 16. Order inexpensive rain jackets from Amazon if rain is forecast during your trip. Don’t skip Disney on rainy days – lines are usually super short! These are the rain jackets we ordered for teens/adults, and these are the ones we got for the kids. They are longer than ponchos, have actual sleeves so your arms don’t get soaked, and the hoods can cinch up so your head stays dry even if it’s windy. They cost the same as you’ll spend at Disney for a poncho but keep you much drier! Plus you can fold them up, bring them home, and use them over and over. Seriously, we had these on a very rainy day at Disney and people (including employees) were stopping me and asking where I’d gotten them. Order these and don’t try to navigate Disney with an umbrella. Just don’t. 17. Bring lots of snacks. Disney won’t let you bring in a full cooler packed with lunch, but they will let you bring in food, water, juice boxes, snacks, etc. We bring in a ton of snacks and have never had a problem. The more food you bring in, the less you’ll need to buy while you’re there. 18. Have kids wear fanny packs full of snacks. If kids each have their own fanny pack full of food, they can munch whenever they get hungry without always asking you for something to eat (because they’ll be hungry the minute you arrive at the park). A pack of apple slices or a granola bar can make a long wait in line much easier to deal with for little kids, and they’ll be able to wear the fanny packs on all the rides. Check out a huge list of easy to pack snack ideas here. 19. Try to delay eating lunch until 2 or 3, when lines for rides are starting to get long. If you eat lunch at noon with everyone else, lines for food will be long, but if you wait you’ll spend less time in line and more time on rides. 20. Bring a stroller if you have a baby or toddler. It’s not unusual to walk 5+ miles in one day at Disney, so having a stroller can be a lifesaver if you have a little one. Take a smaller model that handles well if possible (we have one like this and it’s perfect). There is stroller parking outside nearly every ride where you can stash the stroller for hours if you’d like (theft from strollers is extremely rare at Disney, but don’t leave your wallet in it!). It may not be in the exact same place when you come back; cast members sometimes move strollers around to keep the area tidy. Don’t worry, it’ll be nearby. 21. Consider bringing a stroller even if you don’t have a baby or toddler. Our youngest is 6 and we still brought a lightweight stroller on our last trip. It’s a fantastic place to stash water bottles, snacks, sunblock, ponchos, etc., so none of us had to carry backpacks. Plus, our 6-year-old got worn out trying to keep up with her older brothers and really appreciated the occasional ride. 22. Bring a small crossbody purse or lanyard with card holder to keep cash, phone, and tickets handy. I used a bag like this one because I hate keeping my phone in my back pocket, especially when getting on and off rides, and I knew I’d need to keep our tickets handy since you use them anytime you want to pick up a fast pass. 23. Play games together while waiting in line. 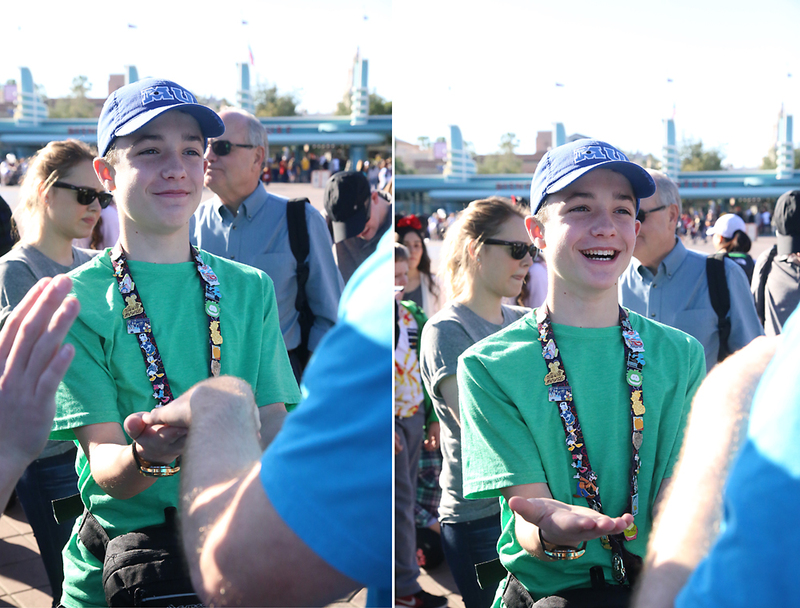 Much of your time at Disney will be spent waiting in line, which can get boring really fast, so be prepared with some simple games you can play with the kids. Great ones are: Would You Rather, Two Truths and a Lie, 20 Questions, and I Spy. 24. Get some apps for line time. Look for apps and games that your family can play together, instead of ones kids play on their own. Heads Up! is a fun game where the players all give clues to the person holding the phone to help her guess a list of words. Check out this list for other fun-to-play-in-line games. 25. Skip the parade and ride rides instead. If you’ve stayed late enough for the parade, consider skipping it because lines for rides will be shorter when everyone else is watching the parade! 26. Don’t try to leave the park during the parade. It’s extremely difficult to make your way down Main Street and out of Disneyland while the parade is running, and it’s also very busy right after the parade since many people are heading out then. So plan to leave before the parade starts or stay for a while after it finishes. 27. Find out which rides will be closed for refurbishment while you’re there by checking the Disneyland calendar and clicking on each day you’ll be visiting. It’s pretty disappointing to be looking forward to your favorite ride only to find it’s closed for your entire trip. Find out in advance to avoid disappointment when you arrive. 28. Take a small first aid kit with you. You won’t want to waste time hunting down bandaids when one of your kids gets a blister on his heel, so gather a few items in a baggie or small container before you leave home: bandaids, headache medicine, Dramamine (if someone in your party gets motion sickness), and Tums or Pepto are all a good idea. 27. Bring a t-shirt and a Sharpie for character autographs. Getting signatures in an autograph book is fun, but kids may never even look at it once they get home from the park. Bring a Disney tee with you instead and get it autographed for a keepsake that will get used more often after the fact. 28. Find Mickey, Minnie, Pluto, Donald and Daisy in the circle just after entering Disneyland. They will each have their own line for photos, so help your child decide which one he or she wants to see most (or plan to wait in a few lines). 29. Find other characters in their designated areas throughout the day – check the Disney app for where to find them. 30. 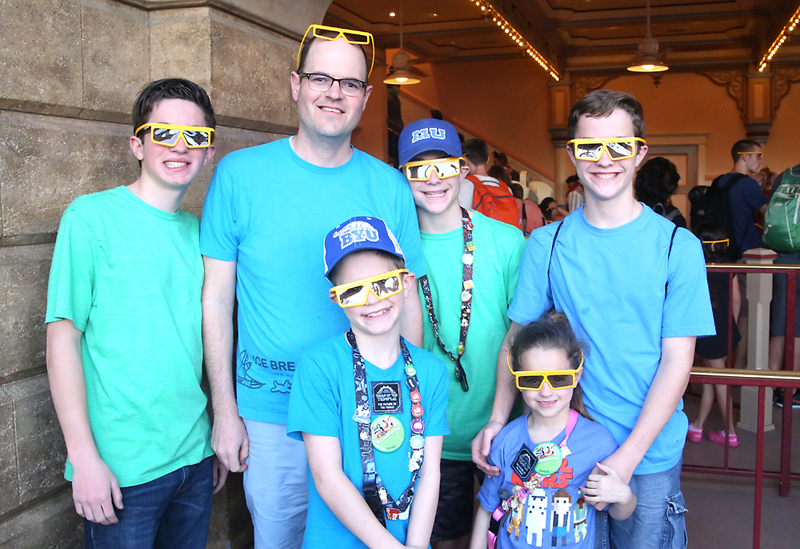 Consider leaving your bulky camera at home and buying the Disney PhotoPass. It’s pretty slick – there are photographers all over the park and anytime you see one you can ask for a picture, which means you don’t have to worry about lugging your camera around AND you get to be in all the pictures with your family. You can download all the photos at the end of your trip for the cost of the Photo Pass (around $39 for a day and $79 for a week). This includes all the photos taken on the rides (hello screaming Splash Mountain photo) and even includes photos with “magical” effects added. 31. Get there early to sign up for Jedi Training. 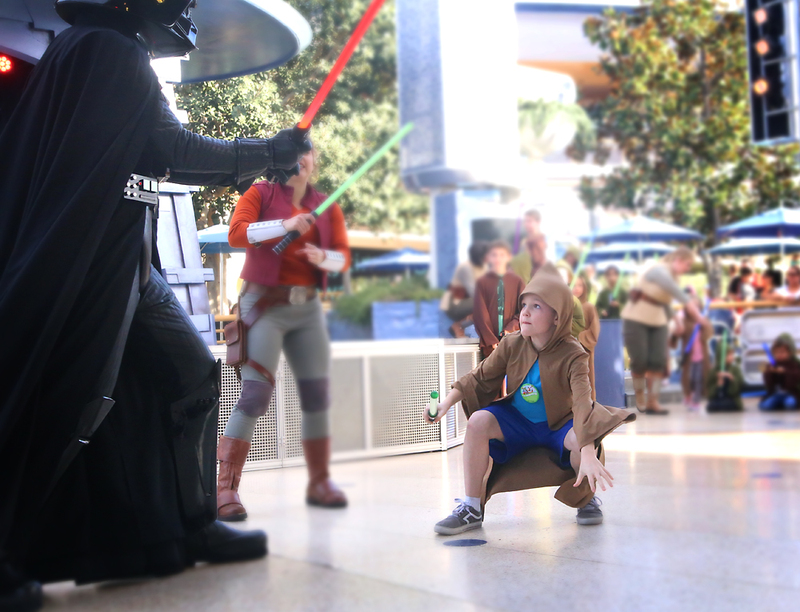 Kids between 4 and 12 can participate in Jedi Training, which is a pretty fun experience where they get to pretend to be Jedi and have a personal light saber battle with Darth Vader. But spots are limited so you’ll need to get to the park before it opens and position yourself to head straight to Tomorrowland, where you can sign your kids up (sign up is near Autopia). Your children must be with you to sign up for Jedi Training. If you can, pick an afternoon time slot (when lines for rides are longest). 32. When it’s hot and you need somewhere to cool off, go see the Path of the Jedi movie near Hyper Space Mountain. Honestly, the 12 minute movie is just a bunch of clips from the Star Wars movie put together, so it’s not that exciting, but the theater is the coolest place in the park! It’s nice to sit and rest on comfy chairs for a while, too. 33. If you buy something and it breaks right away or your kids’ Mickey balloon pops, head to City Hall with your receipt for a replacement. Disney is very good at customer service, just ask. 34. Head to one of the play areas when kids are tired of standing in line. The Redwood Challenge Trail in California Adventures is a huge playground that offers lots of things to climb, rope bridges to cross, and even ziplines. It’s the perfect place to spend an hour in the afternoon when lines are long for all the rides. 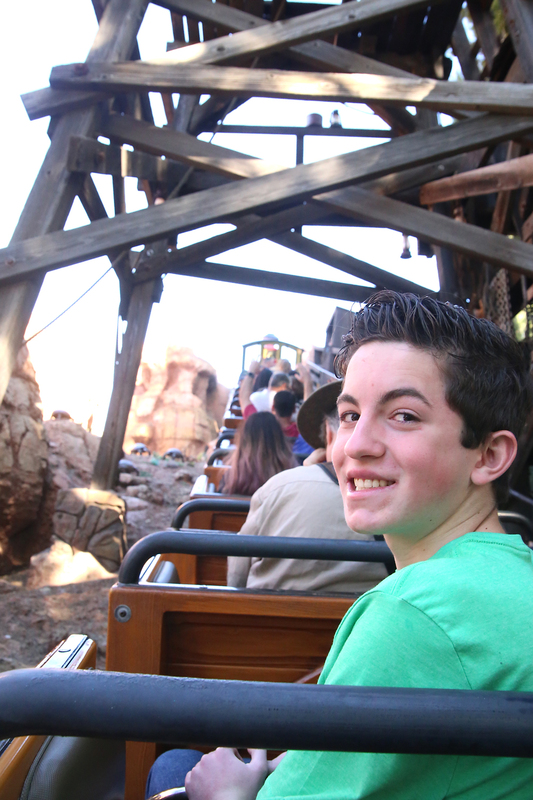 Pirate’s Lair on Tom Sawyer Island at Disneyland is also a very fun place to explore. Toontown has a smaller play area perfect for toddlers. 35. Don’t forget the shows! It’s easy to spend so much time racing from one ride to another that you miss the shows, which are very well done and will give everyone much needed time to sit and relax. California Adventures especially has a good selection of shows. Turtle Talk with Crush (from finding Nemo) is a very fun interactive show that little kids will love! And It’s Tough to be a Bug is also very fun and definitely worth a visit. 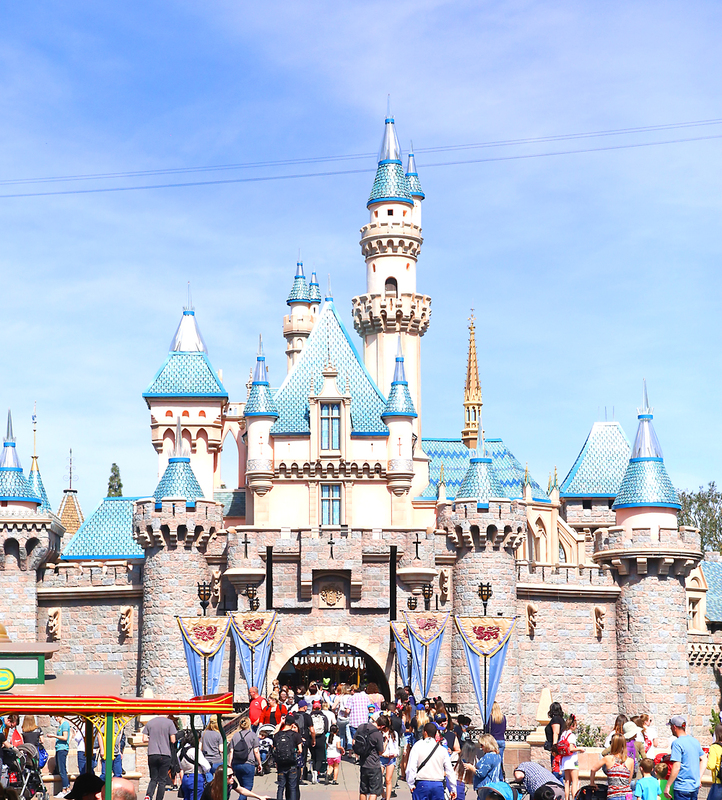 Find the schedule for shows on the Disneyland app, or on a flier as you go through the turnstiles entering the park. 36. Find out if you can see the fireworks from your hotel. The fireworks are fun to watch, but they’re pretty late at night which means if you stay at the park to see them you likely won’t be getting to the park early the next day. But many hotels have roof decks that offer a great view of the fireworks, meaning you won’t have to fight the crowds to head home after watching. 37. Slow down. 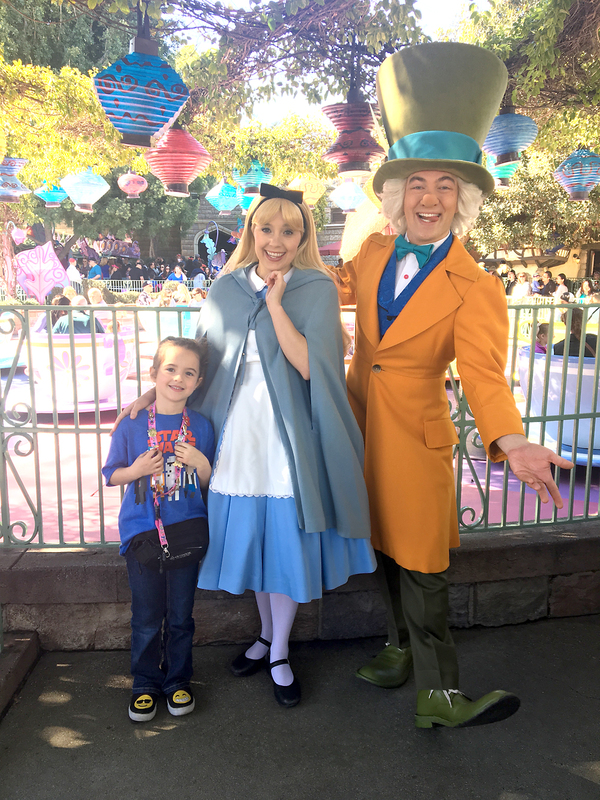 A day spent at Disneyland can start to feel a bit frantic, and it’s easy to get stressed out when dealing with crowds, lines, and kids who might be getting cranky. If it starts to feel overwhelming, take an hour to slow down. Find someplace to sit, get some food or a fun treat, and just watch what goes on. Disneyland does an amazing job with mini shows and music that travel down the main streets of both parks. If your hotel is very close, you may even want to head back to the hotel for naps in the middle of the day. It’s worth it to take some time out and get your energy (and patience) back so you can enjoy the rest of your day. 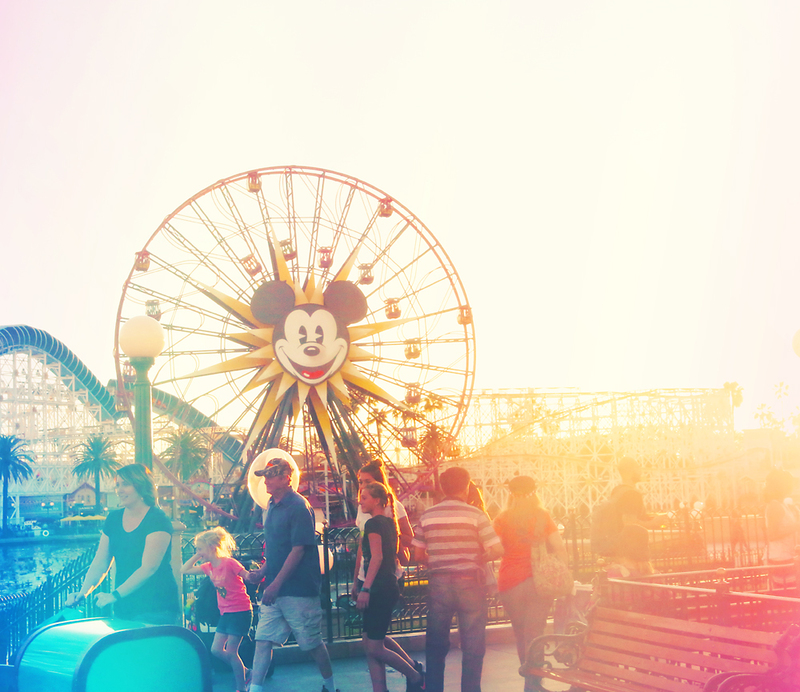 Ok, what are your best Disneyland tips? Tell us in the comments! We love Ridemax.com . You buy an online subscription to their software and use it to help plan your trip. You tell it what time you plan to arrive, what time you want to leave, and what rides you want to go on; it will give you a schedule to best maximize your time at the parks. We’ve used it several times and the longest wait we’ve had for any ride was 40 minutes for The Matterhorn. Most waits are 10-20 minutes. They’ll even tell you the best place to watch a parade and what time to get to your spot. 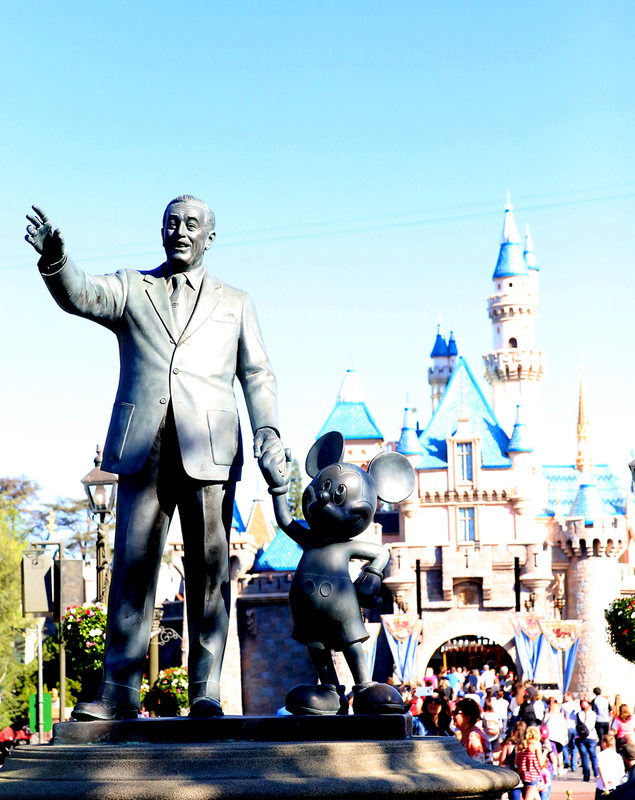 They offer lots of other tips for visiting the Disneyland theme parks, as well. 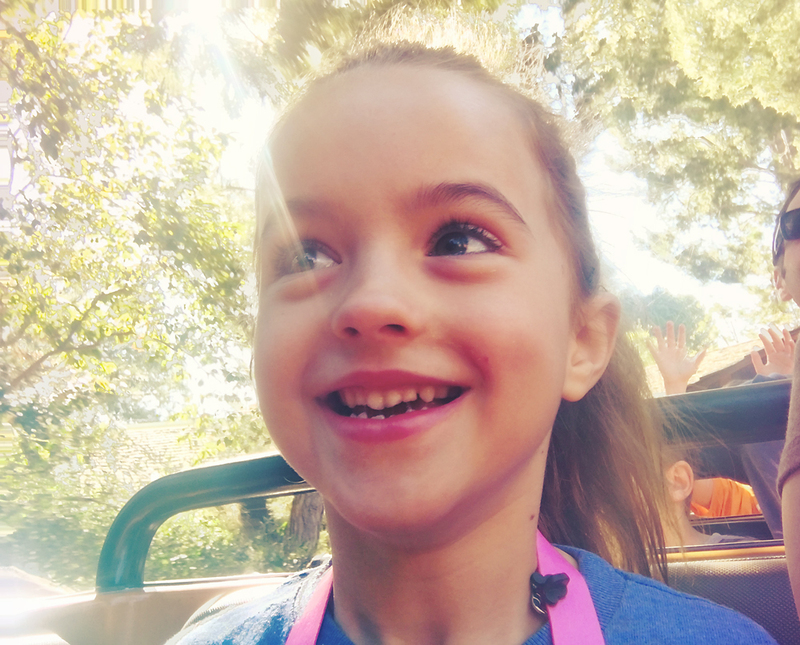 For our family, it made the difference between a very frustrating experience standing in long lines and fighting the crowds, and a relaxing time when we got to do everything we wanted and even ride our favorite rides multiple times. Sounds amazing! I’ll have to try it next time we go – thanks. If for some reason you decide you can’t walk the park, don’t be afraid to rent a scooter, they are very affordable, conveniant and an easy way to get around even waiting in long lines. 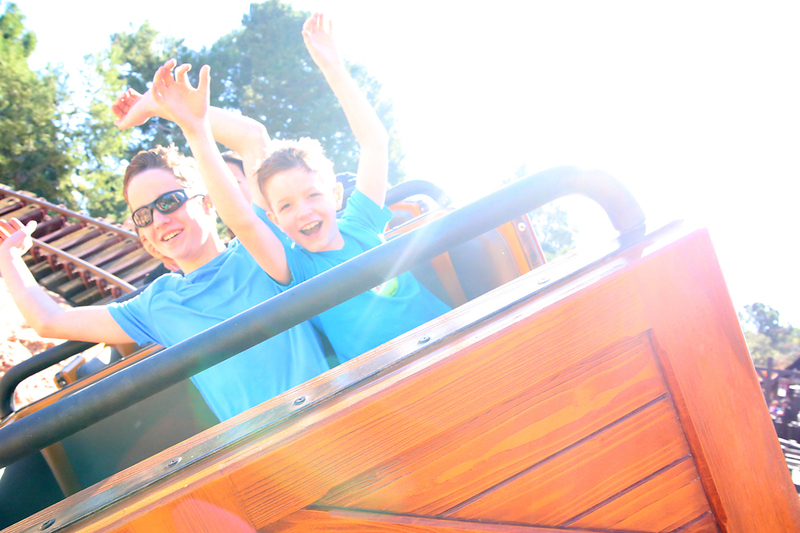 Your little ones just might think it is the best ride in the park.. Awesome advice! Another good idea is to bring a wide matte for a picture frame to have the characters sign. Do not miss World of Color and do not leave it unti the last day…you may want to see it twice…it’s THAT GOOD! Have Fun, Relax and don’t attempt to do it “all”. Another great tip…. Disney offers free ice water at any stand or restaurant with a soda fountain. No purchase necessary. No need to carry around heavy water bottles. I love these tips! I can’t pick which is my favorite, they’re all so good! Thanks!! Now does anyone have a tip on how to handle a hubby/dad that isn’t a Disney fan on this trip? Lol. I’m hoping he will be won over once we get there. Disney world is no longer a Godly institution! They have included a lot of things that are totally unscriptural. What do you take all your snacks in!? Just a back pack and leave it with your stroller!? Can you give a suggestion of what kind of stroller to use when you have an active 5 year old? Thank you for all the great tips in this article! We recently went to Disneyland and found out that for an extra $10 per person, you can get fast passes from the disneyland app. We weren’t sure if it would be worth it at first, but it was the best money we spent while we were there! It was especially nice because we were able to go back to the hotel to rest and still get our fast passes for later in the day. Hi! Thanks for this insight! Is it $10 per person per ride? Or does it work? These are amazing tips! We will be going next month and we can’t wait! If you want your pictures to turn out great, “color code” each day. Everyone doesn’t have to be wearing the same shirt (which older kids and teens don’t always like) but assign each day its own color. Each family member can choose what they want (and it doesn’t need to be solid or even a t-shirt), yet pictures look coordinated. It is also less expensive than buying matching shirts. It makes it easier to locate your family members and remember what they are wearing, too. – Make sure to go get the free buttons from Guest Services or any store really… Free souvenir! – If you stop and talk to the cast member when getting off jungle cruise, make sure you ask for a jungle cruise map! Super neat souvenir for free again! -If you have the photo pass, let your photographer know! They are more likely to take tons of photos if they know! Plus don’t forget to ask if they can do “Magic” photos!!! -If you are a pin nut, your best bang for your buck is to purchase the mystery bags! Works out to be $5-$6 a pin vs $9-$15. Then if you get doubles, easy pin traders! -A great cool off spot is Animation academy, or the frozen theatre! – On my last trip we were there right before CoCo came out in theatres, We went to the little show/display they had mainly to cool off, at the end we got free CoCo guitar picks! So if there is something they are featuring, go check it out. Never know what you might find or get! – Bring a water bottle, and ask for free filtered water! – Share food. Portion sizes are often huge! ( Pizza Port for example) My boyfriend and I shared most meals, and he likes to eat. Even he was full after sharing! – McDonalds is also across the street, so if you don’t want to spend a bunch on park food, it’s a cheap option! Finally my last tip is just go with it. Just because you planned your day to go one way, chances are it’ll change! Just go with it! Don’t be so worried about getting everything done, you’ll miss special moments with your family and friends and that’ll be a bigger regret than missing a parade. His life was changed by Harvard and the departure from Harvard, and I had no place in it. Here are some thoughts about the book and about Fred (but this is not a book review!). When it comes to car sales, there are a lot of factors that you might not have thought of before. The first important decision that any buyer would have to make is whether to invest in a new car or a used car. Bedste mobil tilbud kan være svære at finde, men nu har vi lavet en glimrende oversigt over de mest populære mobilselskaber og deres priser og pakker.Du kan se nedenfor hvad de forskellige pakker med Mobil tilbud indeholder af taletid og data, og se hvad priserne er på disse. Du kan også se hvad priserne er på de forskellige pakker, og finde den pakke der passer bedst til din økonomi eller dit behov. Hey thanks for your blog. I really appreciate your writing skills thanks. Thank you for this information its very useful for me. I’ve been planning to visit Disney land next month. Thanks for this great article. will definitely try these hack. Hi, its a good post thank you for this. Hey, thanks for your blog. Thanks for sharing this blog post with us this is very helpful for us keep updating your website on time for more engagment. Thevloggingcamera.com specializes іn роwеrful, best cheap vlogging cameras for youtube or personal website. Wе hаvе everything уоu nееd tо have and know about vlogging — frоm ѕресіаlіtу vlogging cameras, camcorders, vlogging guides, & tips for vlogging as well. Hello this is me Roman and if you want to buy some quality women products so i want to Recommend to all of you to visit Fam4you Store i hope you all like it very much thank you so much. You have performed a great job on this article. It’s very precise and highly qualitative. You have even managed to make it readable and easy to read.